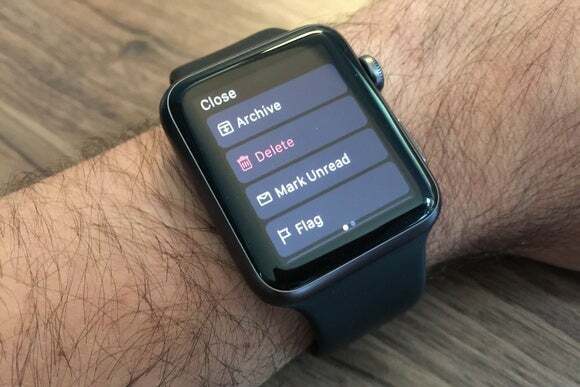 A solid email app is essential for Apple Watch users. 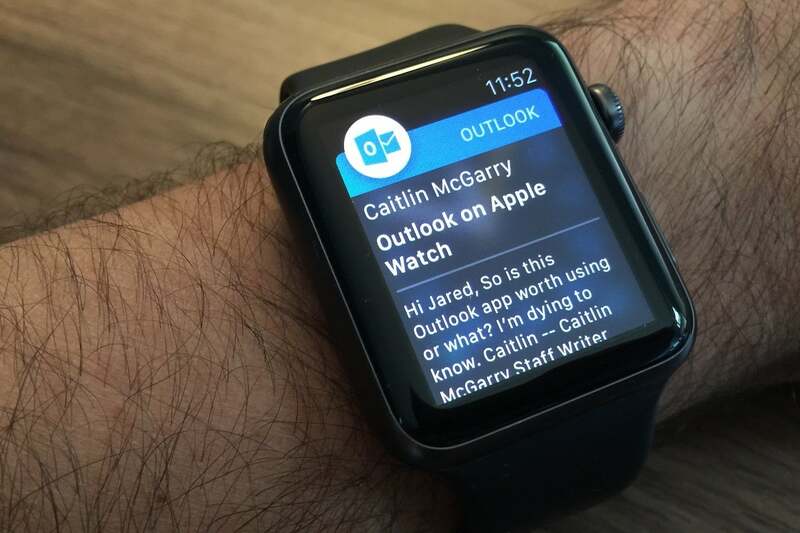 Outlook’s new smartwatch adaptation gets the job done with a priority inbox and helpful shortcuts. Microsoft Outlook has added full Apple Watch support to its iPhone app, and it’s showing other email apps how it’s done. 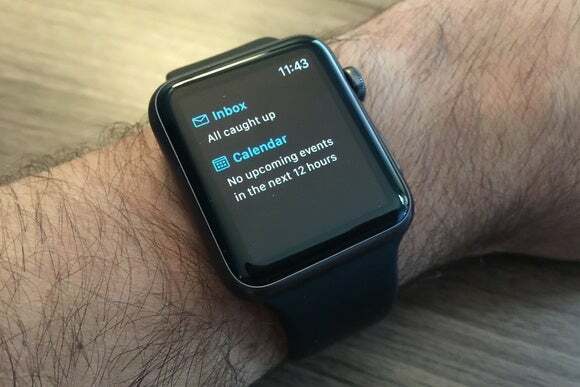 The new app takes brings up an overview over users’ inboxes, along with any upcoming calendar appointments. From here, users can respond to emails (either with a canned response or voice dictation), delete or archive them, flag them as important, mark them as unread, or schedule a reminder to see them later. 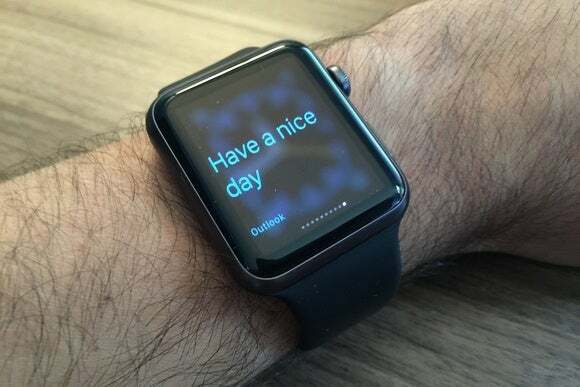 Outlook’s app also shows up in Apple Watch’s Glances menu, so users can see an inbox and calendar overview with a quick swipe. Just as before, Outlook shows actionable notifications for incoming emails, letting users quickly delete, archive, schedule, or mark messages as read. The consolidation of the inbox and calendar in a single view is also a nice touch. If all you want to know is what’s next on your calendar, it eliminates the need to bounce between separate Watch apps. The app itself loads quickly—even as a non-native app—and most refreshingly, Apple’s pressure-sensitive Force Touch display is an option for managing emails. You can delete and archive emails with a hard press if you want, or you can just scroll to the bottom of a message for the same options, with no mystery meat navigation required. Outlook for iOS is compatible with Gmail, Yahoo Mail, Exchange, Office 365, and iCloud, so you don’t need to have Outlook as your email provider to take advantage of the app and its features. The app was formerly known as Acompli, before Microsoft acquired and re-released it under the Outlook brand.